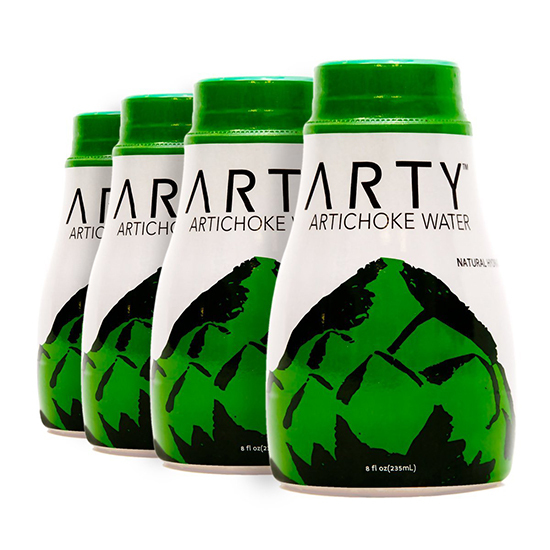 Arty Artichoke Water was brought to our attention after the LA Times’ Daily Dish spotted bottles of it at the Winter Fancy Food Show in San Francisco. Arty is touting the health benefits of its water, from lowering cholesterol to improving skin to boosting immune systems. An artichoke doesn’t seem like a natural water source. The fibrous food can be difficult to eat, let alone squeeze liquid form. But according to the Times, Arty has a patent-pending artichoke extraction process to maximize liquid output. And once they get the liquid out, Arty spikes their concoction with “lemon, apple and spearmint, and [it is] sweetened with blue agave and monk fruit extract.” A taste tester summed up the experience as a bitter, minty start with a sweet finish. So watch your back, coconut water. Artichoke’s sweet finish is coming for you.